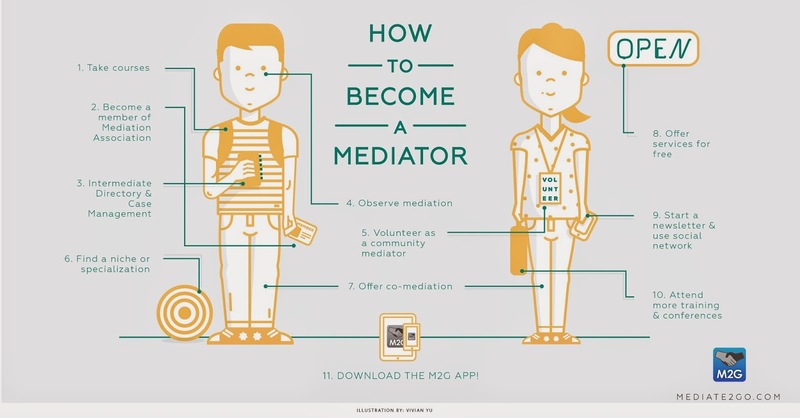 What is Mediation? The Definition of Mediation. Mediation is the process of helping two or more people resolve conflict with the help of a neutral and impartial third party. 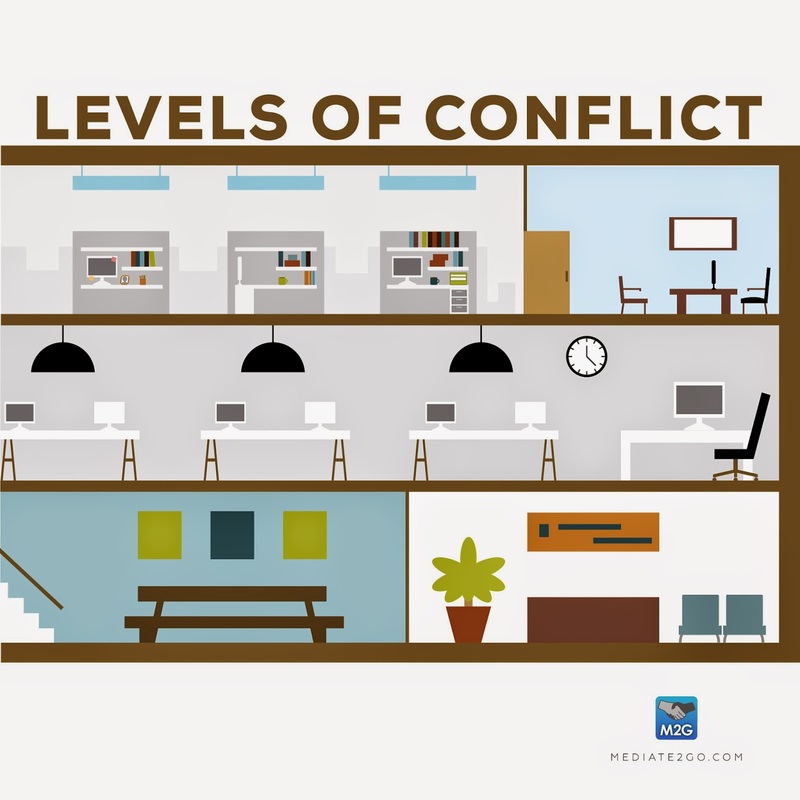 Mediation has been increasing in popularity over the past few years, given the various benefits of resolving conflict outside of the court room. Mediation is confidential and is focused on resolving issues through improving communication - so the process often leads parties to find an understanding of one-another, in addition to creative outcomes that might not be available according to a court ruling. Mediate2go.com provides a list of qualified practitioners, that can help you resolve your conflict. Whether you have a dispute related to divorce, separation, workplace conflict, consumer issues or otherwise, we can help you connect with a professional right away. Search: #What-is-Mediation? 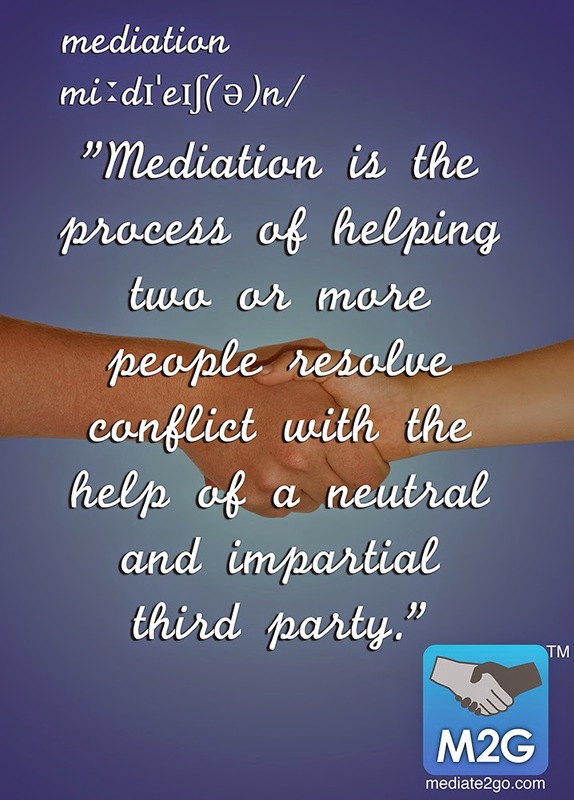 #The-Definition-of-Mediation, #mediation-works, #neutral-third-party, #conflict-resolution, #directory-of-mediators.